Ferdinand and Adele Bloch-Bauer, and the Estée Lauder Fund. 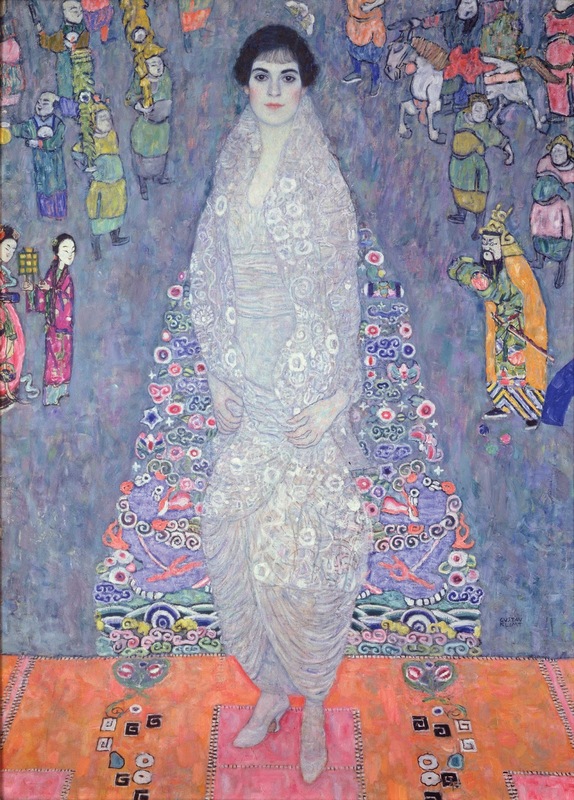 spirit of fin de siècle Vienna, at that time the center of the art world. 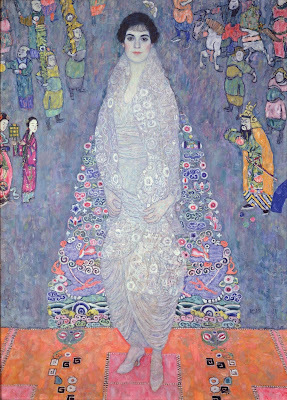 The two ethereal paintings below represent some of Klimt's earliest portrait art, in which the influences of Symbolism and the Pre-Raphaelite movement are evident. 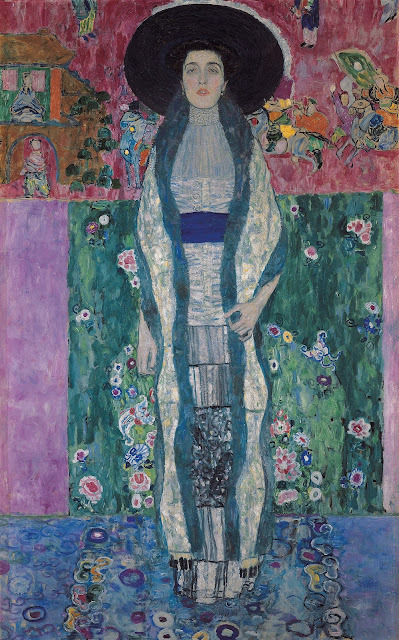 Klimt (1862-1918) is considered a pivotal figure in the cultural life of late nineteenth- and early twentieth-century Vienna, and provided a vital link between nineteenth-century Symbolism and the beginning of Modernism. Lederer was a Vienna socialite who built up the most important Klimt collection of her era. and returned to the subject's daughter. ardent supporters of progressive Viennese art and design. 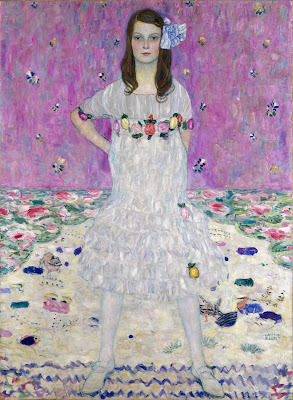 Elisabeth was the daughter of August and Serena Lederer, Klimt's most important patrons. 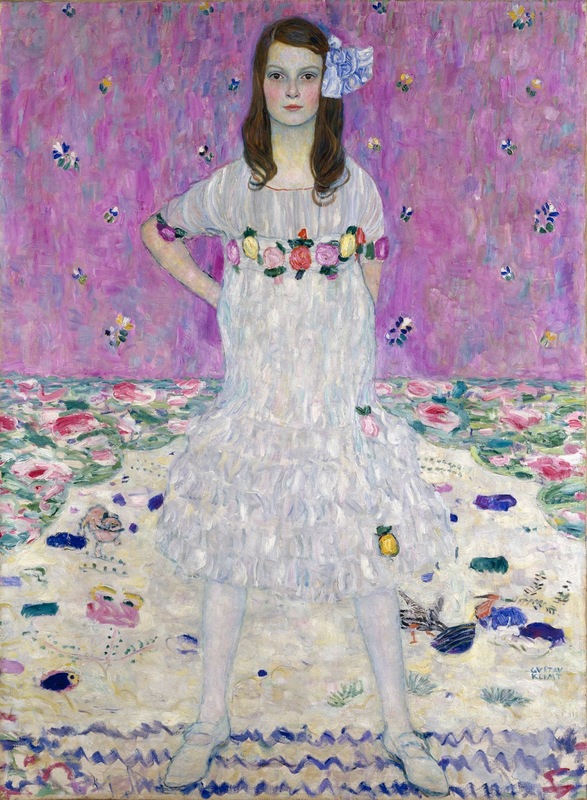 The family's collection eventually grew to include fifteen canvases by the artist. 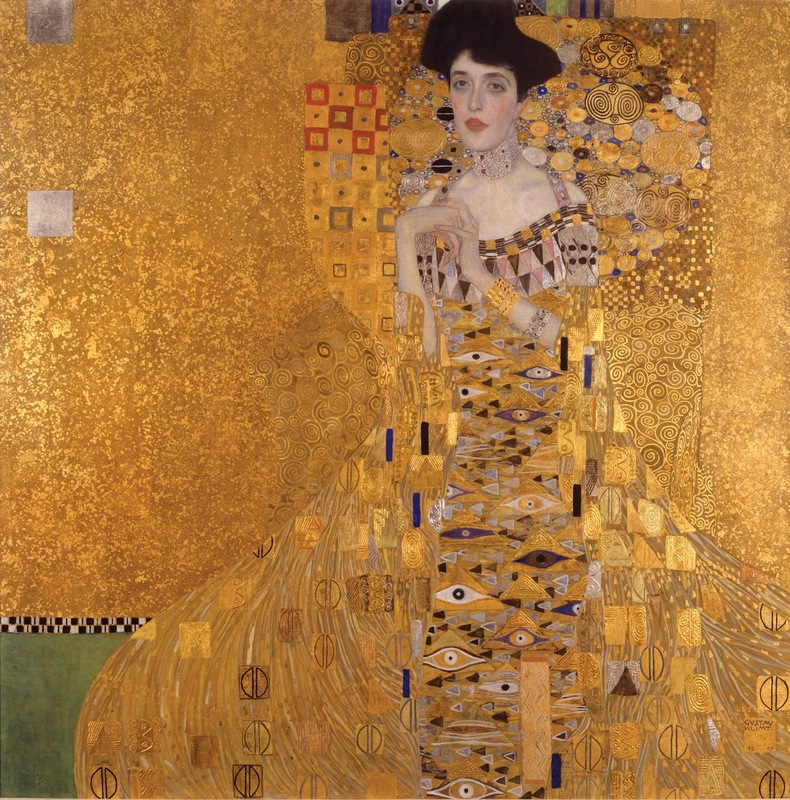 as "the best-dressed woman in Vienna." iconography of which he was an avid collector. by-side for the first time since 2006." after I've seen the show! what I am and what I want."